Catfish are one of those species that you either love or hate but there is no denying the incredible fight that these fish give when you hook one. In England the only species you are likely to catch is the European wels catfish which sort of resembles an overgrown slimy tadpole lol. 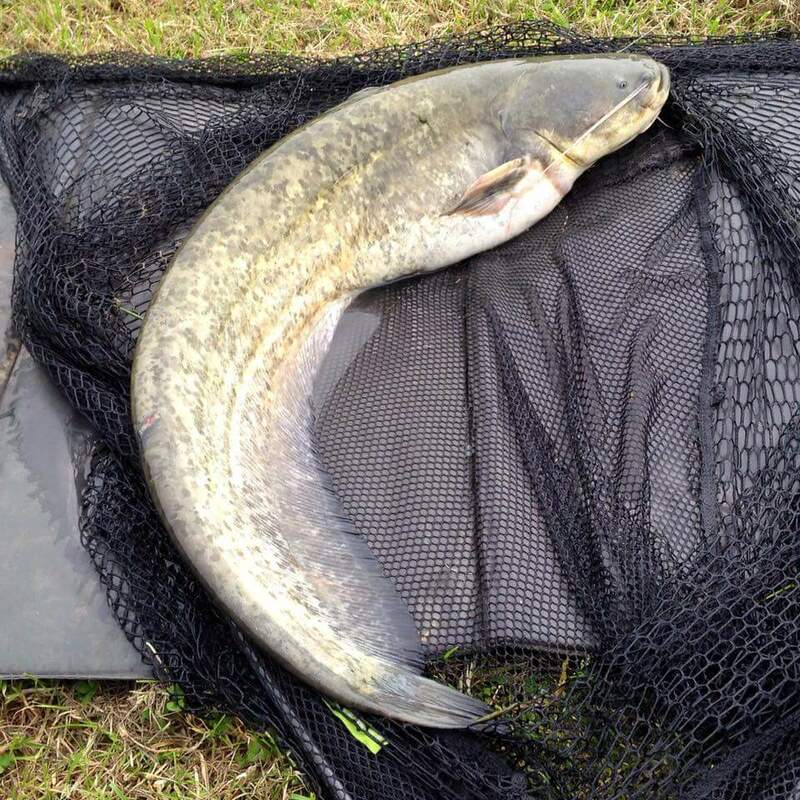 There have always been rumours of catfish in the canals and rivers around the country but recently there have been lots of captures too. The wels catfish is a non-native species to the UK and until recently has been culled by the Environment Agency, the good news for the species is that there are now several fisheries around the UK that have special issue licences that allow the fishery to stock the catfish for the purposes of fishing for them. One such fishery is Hoar Park Fishery, Nuneaton Road, Nr Ansley, Nuneaton, CV10 0QU Tel: 07703 643 988 which is where I (Anthony) fish for them. 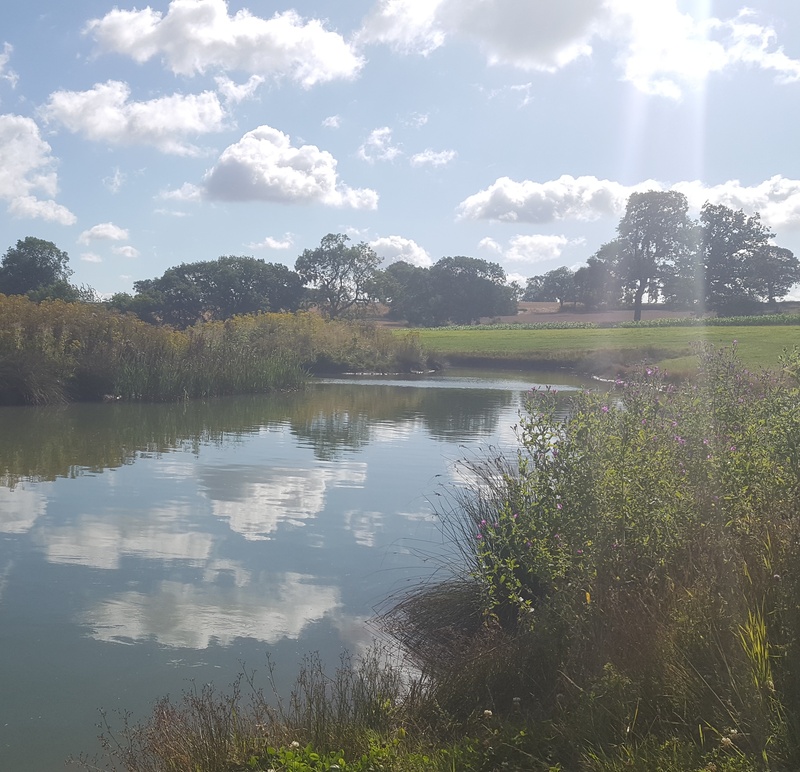 Compared to the size they can grow the catfish at this fishery are quite small but there are some 20lb plus catfish and a couple are over the 30lb mark so they will give you a good scrap compared to the average carp. There are arguments that the catfish will cause all sorts problems in a fishery but I have been fishing at Hoar Park for four or five years now and the catfish reside in Daisy's pool very well with the carp that are in there. 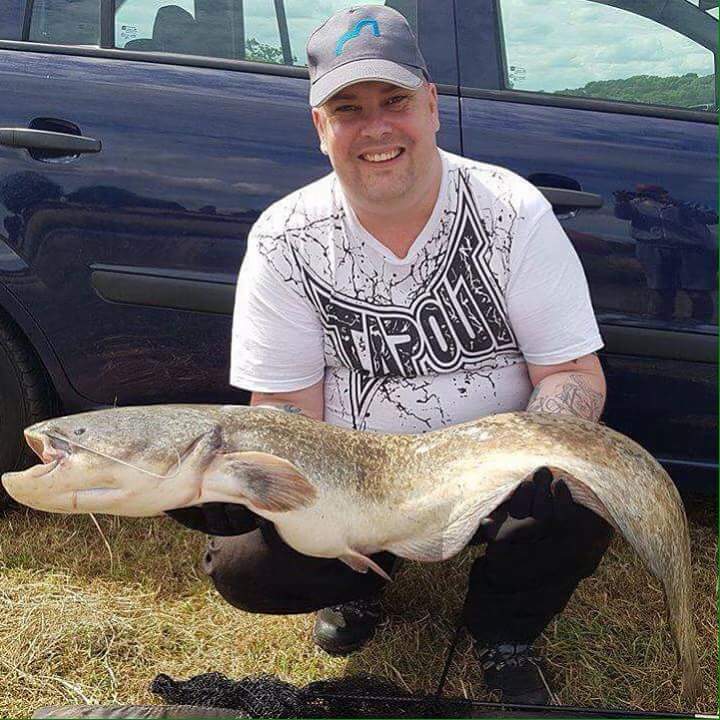 The catfish are nice and healthy and so are the carp, there hasn't been a noticeable reduction in carp and there have even been a couple of new baby catfish of about 6oz caught so they are breeding in the lake too. Before I get onto the bait that I use, I thought I would go through the rig that I use. 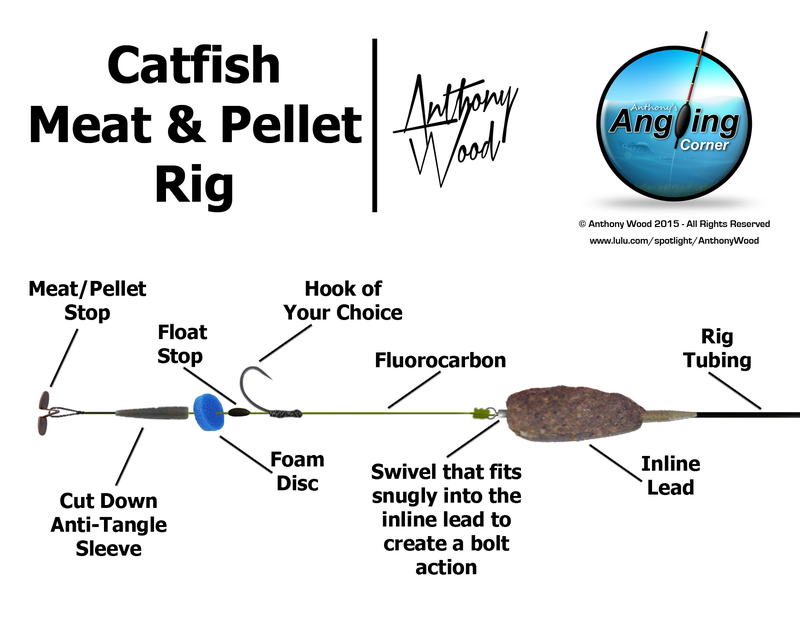 The line strengths will depend on the size of the catfish that you are fishing for and breaking strengths of up to 100lb are regularly used for the larger specimens. The hair rig is best made with a strong abrasion resistant fluorocarbon and you want the hair to be long enough to hold two 20mm-24mm baits, a foam disc and a float stop leaving a 2cm gap between the float stop and the hook once it is pushed up tight against the bait. If you are using meat you may also wish to add a cut down anti-tangle sleeve which will help prevent the hair cutting through the meat. Finish this off with a meat/pellet stop to prevent the bait coming off. At the other end of the rig you want a nice strong swivel preferably one which will fit snugly into the inline lead which will produce a bolt effect on a take but at the same time will pull loose if the lead gets stuck or you get broken off. 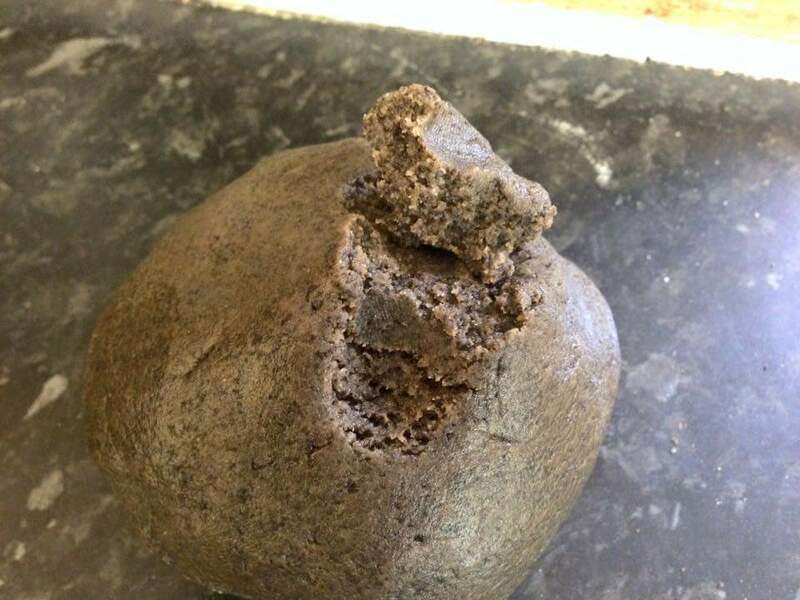 There are lots of baits that can be used to fish for catfish such as deadbaiting, luncheon meat, boillies and many more but my favourite is two 20mm halibut pellets wrapped in my own homemade paste. My paste is very easy to make and only has a few ingredients but the catfish absolutely love it. 225g blue cheese powder, 225g fine halibut pellet powder, 40g semolina, 10g wheat gluten and 3 large eggs. In a large container mix all of the dry ingredients together and set to one side. Take a large mixing bowl and whisk the three eggs. Slowly add the dry ingredients mixing each time you add some dry ingredients until you get a nice oily paste that is pliable and will mould around the halibut pellets. If you want to make your paste more soluble replace some of the egg with water and if you want to make the paste stiffer add some blood powder. 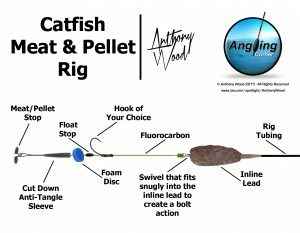 When you hook into a catfish you are going to want a rod that is going to be able to cope with the pure strength that these magnificent fish give when they fight. Now because the fish in the lake I fish are under 60lb then I am more than confident in my Fladen 3lb Maxximus Carp rod BUT if you are going to be fishing for catfish over this weight then you really need to start looking at the dedicated catfish rod and one that really stands out from the rest is the Diawa Whisker 6lb Catfish rod which has been known to catch catfish well over the 100lb mark. The biggest catfish I have had so far is the 20lb 14oz that resides in Daisy's pool but that fight had me totally and utterly addicted to the species. If you get the chance and you haven't already, I highly recommend giving catfishing a try. I have been fishing for them for nearly three years now and I haven't found another fish in the UK that lb for lb fights anywhere near as hard. You may notice in the last photo that I am wearing gloves, this is something that I definitely suggest you use as the catfish has a pad inside its mouth that is almost like velcro, if you aren't wearing gloves this pad stands a really good chance of giving you lot of little cuts on your hand (trust me its painful).